Once ashamed of his lackluster Chicago abode, architect Brad Lynch tore it down and started over with a family home that’s part retreat and part public stage. “I kept promising my wife that we would renovate,” Lynch says. But when he got down to designing, Lynch realized that the plans he’d drawn up—which he describes as “a deconstruction of the bungalow form”—would cost more to realize than a brand-new building. So he decided to tear down his cozy, if commonplace, house and build anew onsite. 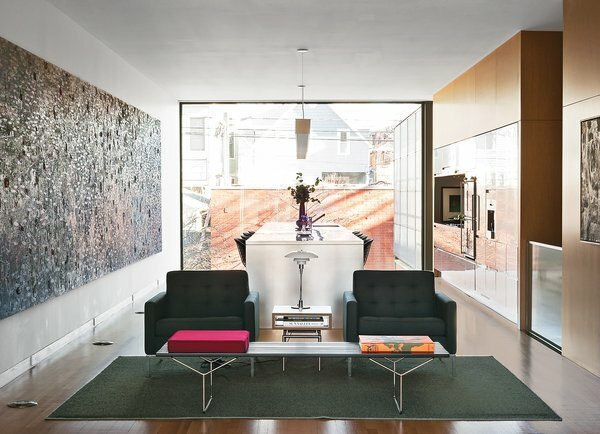 On a residential street lined with late 19th- and early 20th-century bungalows, Lynch’s modern home cuts a distinctive profile while respecting its context. “It’s not like a flying saucer or a big blob trying to make a statement,” says Lynch. “The architectural statement is in the use of the space, and the experience.” The structure is in scale with the neighborhood, mimicking the volume of the other buildings on the street. Its massive front-facing window may turn some heads, but the red brick, zinc panels, and slim profile fit right in. 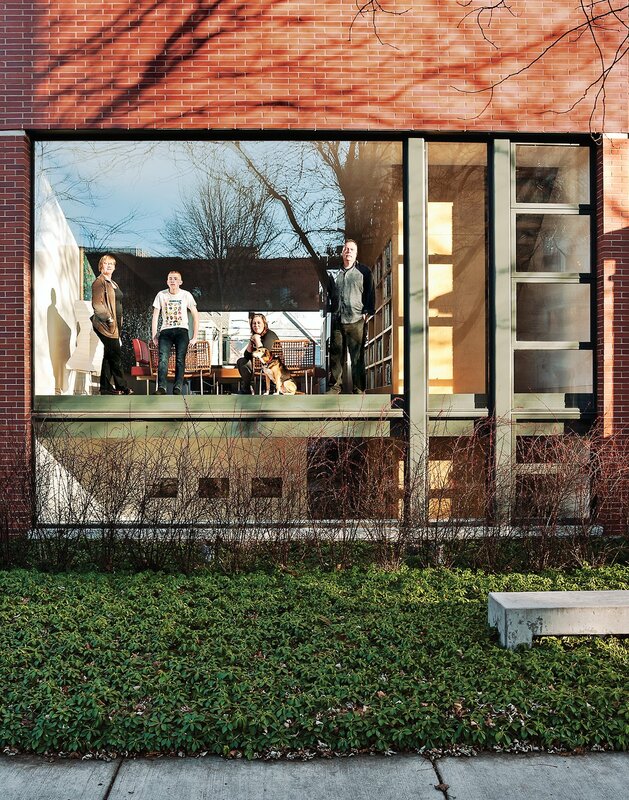 And, like the stoops that connect typical Chicago bungalows to their neighborhoods, the Lynch family’s open-plan living floor calls out to public life on the street instead of hiding from it.